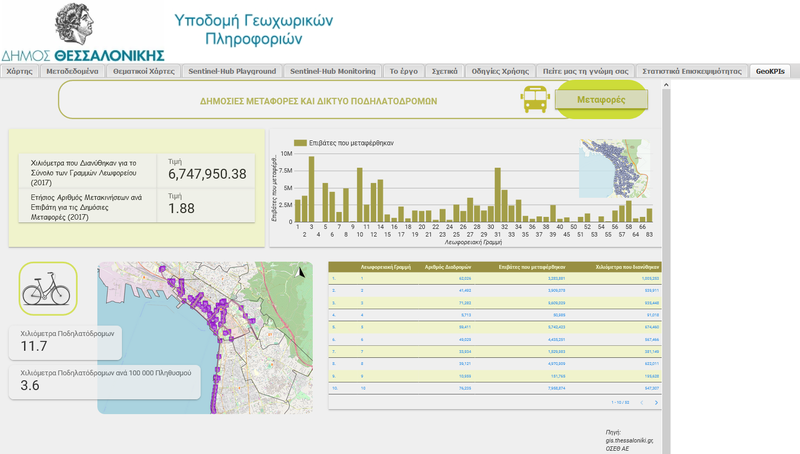 GET in cooperation with the Municipality of Thessaloniki under the framework of «Implementation of information and interaction units – Geospatial Indicators of Performance» project, successfully completed the development of a new urban governance model, based on Performance Indicators, in accordance with the International Standard 37120, for Sustainable Smart Cities. Taking into consideration the international strategies of city sustainability, as well as Thessaloniki’s special features, a set of indicators of ISO 37120 and ELOT 1457 (KPIs) regarding more than 10 thematic categories such as Education, Energy, Environment, Health and Transportation was included in the SDI platform. Indicators, resulted from municipality’s geospatial data, aim at steering, measuring and assessing the quality of life as well as the performance of city services in the fields of Environment, Sanitation, Electrical Lighting System, Security etc. Additionally, a set of thematic maps representing indicators’ spatial distribution was designed. The implementation of GeoKPIs project is considered to be quite an innovative action that reinforces Municipality’s digital strategy and sets the basis for its transition to a Smart City state. 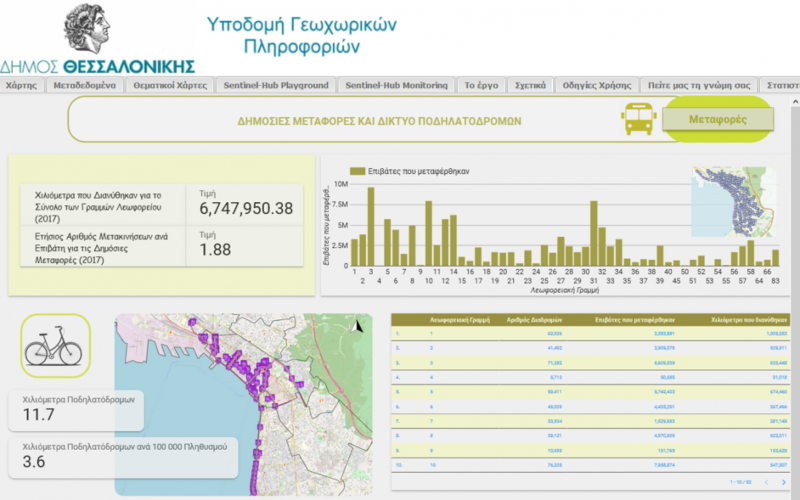 It is worth mentioning that the Municipality of Thessaloniki recently won the «Greek Green Awards 2019 – Best practices used of Local and Regional Governments concerning Environment, Sustainability, Smart Cities and Circular Economy, in the category of «Digital Strategy of Smart City», in the 3rd international exhibition on environmental technologies Verde Tec that took place in February 2019 under the powerful auspices of the Ministry for the Environment and the Central Association of Greek Municipalities.